“State estate taxes” – doesn’t that just roll off the tongue? So, you read an article that indicated that the Tax Cuts and Jobs Act of 2017 (referred to as “TCJA”) raised the threshold for estates subject to estate tax to over $11,000,000 for individuals and over $22,000,000 for married couples. Since your estate is less than that you settled back in your chair comfortable knowing that the government wouldn’t be getting any of your estate. Not so fast, Sparky. Don’t forget that the state you live in is going to want a swing at the piñata that is your estate. Oh, you think states automatically follow the federal rules? That kind of naivete is almost refreshing. But sit down, I have some very bad news for you – states by and large do whatever they want. [We’ll pause our estate tax explanation for a second while we head over to states-vs-fed La-La Land. Seriously – states, as noted above, do pretty much whatever they want. Most of the US Supreme Court opinions that the average American knows about are decisions resolving (in one way or another) that fact. TaxLand isn’t any different, it’s just more obscure to the average taxpayer. For example, California used to (this is a very long time ago) automatically adopt (California refers to it as “conform”) to federal tax law in calculating taxable income, then apply their own rates. Then in the 1970s, California decided they’d only selectively adopt federal tax law changes. This started a process where after a federal tax change, the California legislature would, sometime between the same year of the federal change and several years later, conform to some or all of the federal changes. California being California, they have generally adopted changes that would benefit individuals and not adopted changes that would benefit businesses. For example, California has declined to conform to federal changes in depreciable lives and depreciation methods adopted since the 1981 federal tax act (ERTA for you tax nerds), leaving in place a legacy depreciation system that’s slower than federal. One result of this penchant for not adopting federal rules by states that this leads to the absurdity where businesses may have three or four or twenty or more sets of depreciation schedules to satisfy the different rules applicable in different states that the business operates in. In any case, this post is specifically about Washington state. Washington state has had an estate tax for decades. Washington rules roughly conformed with federal rules until around 2005. Note that this is an estate tax and not an inheritance tax – the tax is levied on the estate, not on the persons receiving the property. Washington used to be one of the few states that had an inheritance tax rather than an estate tax but this was changed via initiative in 1982. 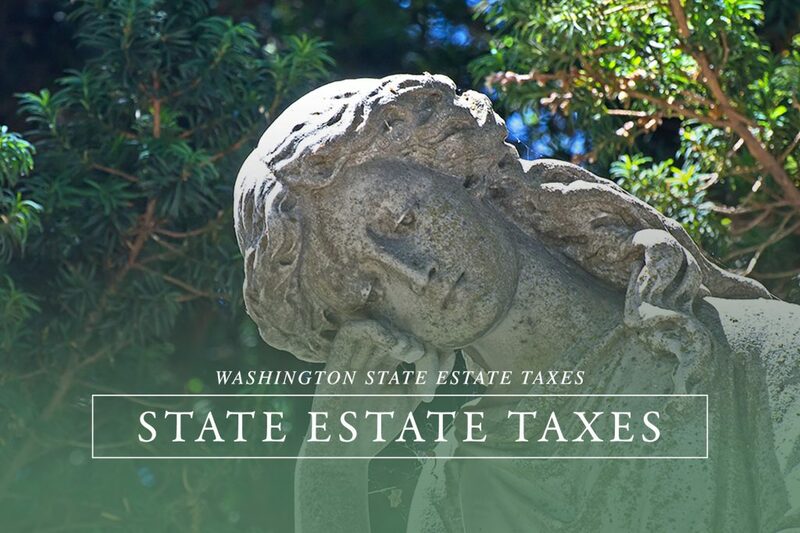 Washington state levies an estate tax on the taxable estates of: a) individuals residing in Washington at the date of their death, and b) nonresident individuals who own tangible real or personal property located in Washington on the date of death. 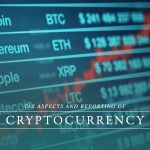 Assets are valued at “actual value” (for things that have a cash value like certificates of deposit, publicly traded stock, etc.) or “fair market value” (for everything else) as of the date of death. For 2019, the first $2,193,000 of value is excluded from taxation, as are things like charitable bequests from the estate and a few other excluded items. The exclusion amount is indexed for inflation in future years. The tax rate is a sliding scale ranging from 10% to 20% depending on how large the estate is. The estate tax return and, more importantly, the estate tax payment are due 9 months after the date of death. Wait, Nonresidents Have to Pay Washington Estate Tax? Possibly. Nonresidents who own Washington-located tangible personal or real property need to calculate whether they owe estate tax to Washington. Note that intangibleassets are always sourced to the domicile of the owner – so stocks, bonds, etc. are deemed to be property held within the state of residence. The first step is to calculate what Washington’s estate tax would have been using ALL of their assets, then calculate a Washington tax by applying the percentage of Washington-located assets to the total of all assets everywhere. Here’s a simple example: assume someone resident in California who dies in 2019 only owns two things – a house in California worth $6,000,000 and an unimproved lot in Washington worth $2,000,000. Even though the Washington property is valued at a figure less than the $2,193,000 exclusion amount, the estate will owe estate tax. That tax will be calculated by determining the Washington tax due on $5,807,000, then multiplying that figure by 2/6ths. The $5,807,000 is equal to the $6,000,000 plus the $2,000,000 then subtracting the exclusion amount of $2,193,000. It’s worth noting that this estate is below the federal tax threshold for individuals (or is probably below the tax threshold – see the discussion of gift taxes below) and thus would have no federal tax due. Gift Tax – What Is That? The federal estate tax system is really a harmonized estate and gifttax system. This is a gross simplification, but it will serve our purposes for now – gifts given during a decedent’s lifetime count in the calculation of whether an estate is subject to federal estate tax. [Remember the blog post where we suggested keeping gift tax returns forever?] Basically, the idea is that you shouldn’t be able to avoid an estate tax by gifting property on your deathbed. However, Washington doesn’t have a gift tax. Go figure. There are very very important differences to the recipient as to the basis of property received via gift or inheritance so lifetime gifting programs, especially of appreciated property, is not something to do without legal and tax assistance to determine the federal tax consequences. I Really Hate the Idea of Paying Estate Taxes – What Can I Do? Besides spending money Domaine de la Romanee-Conti Montrachet before death to reduce your estate, Washington has couple of more prudent ways to reduce a taxable estate in certain circumstances. First, Washington state follows the federal system of having an unlimited marital deduction. Assets transferred to a surviving spouse either through a direct transfer or in trust using sometime called a QTIP trust, are excluded from a taxable estate. Note that this is really only a deferral – the property will be subject to tax at the surviving spouse’s death. Unless the surviving spouse remarries…..but this starts getting much more complicated socially. Washington also has an unlimited exclusion for family farms (a term that statutorily includes farms, vineyards, timberland, ranches, nurseries, etc. ), including the related equipment. There are rules requiring that to qualify, the property must have been used by the decedent or a family member at death and the property must pass to a “qualified” heir, which would include spouses and/or lineal descendants). The value of the real property must make up at least 25% of the total taxable estate and have been used by the decedent or a family member for five of the eight years prior to death. This exclusion is available (although more complex) even if the farm is held in a corporation, LLC, or partnership. Lastly, Washington has a limited ($2,500,000) exclusion for the value of family-owned business interests. The exclusion has a similar five-of-eight-year requirement as to operation of the business by the decedent or a family member. 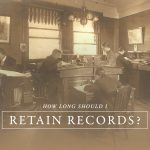 The business must pass to a qualified heir or key employee and the person inheriting the interest must meet specific requirements for three years following the decedent’s date of death or risk having to pay an amount equivalent to the estate tax. This exclusion isn’t available to an estate where the value of the business interest held by the decedent exceeds $6,000,000. That said, since Washington does not have a gift tax, there may be planning opportunities here if the value is higher. There are lots of planning opportunities available to minimize Washington state estate taxes. Given the interplay between Washington state and federal estate tax rules, proper planning is important to minimize both. Also, even though the current federal threshold for estate tax is $11,000,000 ($22,000,000 for married couples), there’s no guarantee that the limits will stay at those levels for any length of time, so planning for federal and state estate tax liabilities promises to be a constant process for at least some period of time. As always, if you have questions, send us an e-mail using the button at the bottom of the page.